Here's another re-post from Wildnote - this time from the blog. It's a quick explanation of all the tools currently available for CRM Archaeologists. 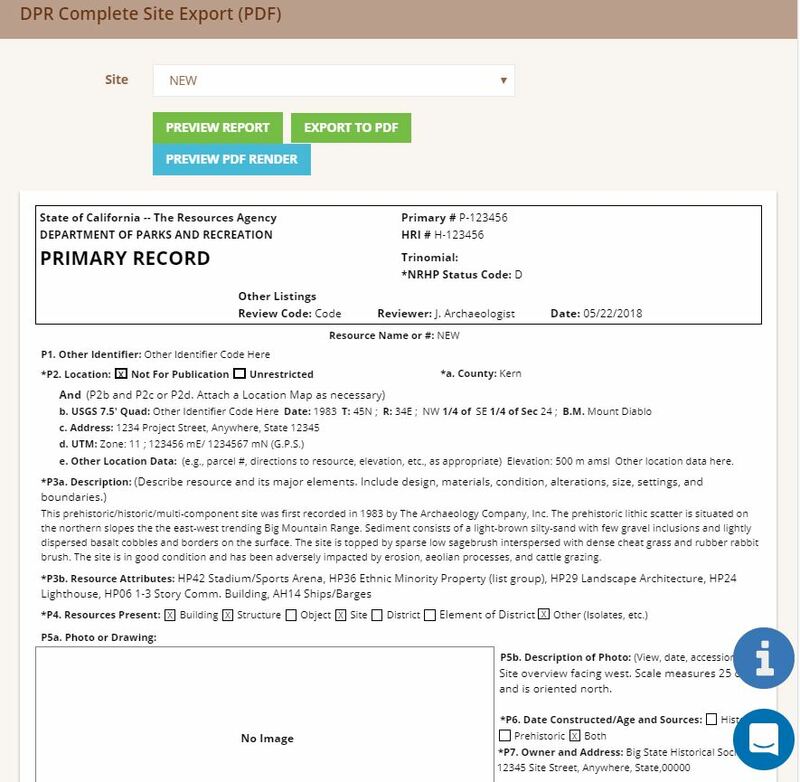 CA DPRa Primary form export example. Calling all Cultural Resources Managers and field staff (aka shovelbums): Wildnote has just released a suite of 48 CRM forms and exports that can ease your evolution into digital recording and reporting. We believe that just because you record the past, doesn’t mean you have to live in it! We are very fortunate to have digital data collection pioneer, Chris Webster, a CRM archaeologist with DIGTECH and the Archaeology Podcast Network on our staff guiding the development of these new CRM tools. He has put countless hours into designing and testing forms and quality assuring the state agency exports. The Photo Sheet and Photo Log alone will save you countless hours, and we even have a FCC 620/621 form.